Congratulations to all of our September giveaway winners! A Mother’s Boutique (and Annee Matthew Maternity) is independently owned by Pittsburgh, Pennsylvania mama, Judy P. Masucci, Ph.D. 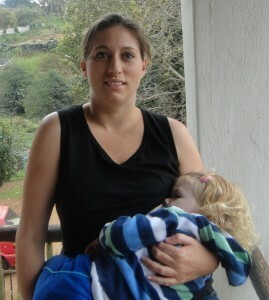 Unhappy working full time as a scientist after the birth of her son in 2005 and longing for nursing clothes that she felt comfortable in, Judy created A Mother’s Boutique out of her passion to help other women breastfeed. The Tanya dress is a soft, flowing dress made from eco-friendly lyocell. It has an incredibly soft modal insert that you can use two ways – as minimal support when not breastfeeding, and when you are nursing, you can pull it up and over your exposed breast to help minimize skin exposure. You can purchase the Tanya dress at A Mother’s Boutique. It is regularly $119, but with the coupon code below, you can get it for $101.15 (plus applicable tax and shipping charges where applicable). Like A Mother’s Boutique on Facebook. Follow A Mother’s Boutique on Twitter. Check out A Mother’s Boutique’s Blog. L’il Baby Chaps are split pants with an open design that allows babies and toddlers to potty quickly and easily, and caregivers to notice when a diaper is wet so they can change it without a hassle. Diaper belts are designed to hold a prefold in place while still allowing easy access for diaper changes and potty visits. You can purchase L’il Baby Chaps or a Diaper Belt of your own at EC Wear. L’il Baby Chaps retail at $18 per pair and Diaper Belts range from $8 to $12 each depending on which type you choose. EC Wear ships worldwide via USPS, but you can cut out the middle man and pick up locally if you live in the tri-state area. Like EC Wear on Facebook. Follow EC Wear on Twitter. Subscribe to the EC Wear Newsletter. Christine Poirier, the founder of Momzelle, created her first nursing top a few days after the birth of her daughter in order to feel comfortable nursing in public. Momzelle prides itself on helping mothers achieve a positive breastfeeding experience and feel confident breastfeeding anywhere. They have won tons of awards, and Christine has been in the media often. All the clothing available from Momzelle, which includes maternity tops, is made from the best quality fabric. It is perfect for casual wear with jeans or shorts and wonderfully cool. The neckline is modest without making you feel like a nun, and it manages to cover even the thickest of nursing bra straps. You can purchase your own Original Nursing Tank Top from Momzelle for $39.50 excluding shipping. The site is featuring an end of summer sale at the moment, allowing you to purchase this top for only $35.00! Check out the sale where you can get as much as 50% off! GLOB is an eco-friendly company making art time safe and fun. GLOB makes paints from natural and organic fruits, vegetables, and spices that smell amazing. The company is founded by Ashley Phelps who is an artist with sensitivities to chemicals. 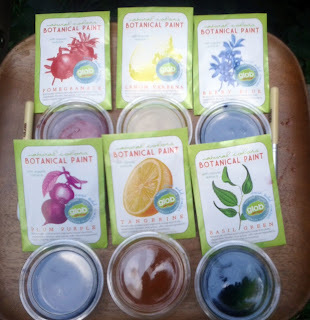 She set on a mission to create her own paints using natural and organic fruits, vegetables, and spices. GLOB uses organic aromatic compounds which makes the products smell good enough to eat! You can purchase your own botanical paint kid at www.Globiton.com.. The Paint Kit is $18 USD, and there is free shipping on orders over $69. These would be a great addition to your home art supplies. Subscribe to the GLOB newsletter. 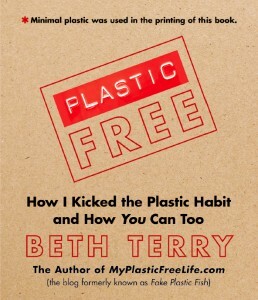 Author, Beth Terry, shares with us her discoveries on the road to a life independent of plastic. Beth will inspire and challenge you to look at your life and find ways to eliminate plastics and re-purpose what is already here. You can purchase your own copy of Plastic Free at BuyGreen.com (where your book is guaranteed to arrive in plastic-free packaging) or Amazon.com. Like My Plastic Free on Facebook. Follow Plastic Free on Twitter. 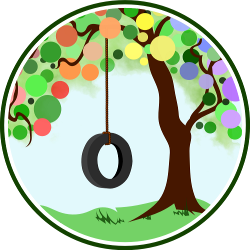 Check out Plastic Free’s Blog.